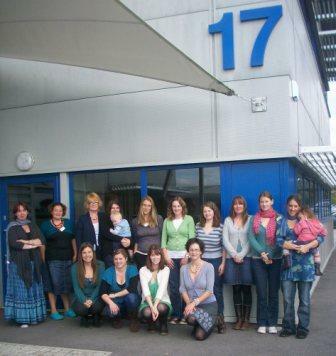 Real Baby Milk, the UK’s second-fastest growing Social Enterprise which provides support to breastfeeding women, has relocated to larger offices in Bodmin, having outgrown their current premises. Starting with just a single desk at the Bodmin Business Centre in 2008, the business has grown substantially, now employing 22 people and renting new offices at Callywith Gate in Bodmin. Real Baby Milk was founded by Arwen Folkes in May 2006 and it became a Community Interest Company (CIC) that November. Commenting on the business growth, Folkes said: “It’s fantastic that Real Baby Milk is doing so well and we need to find a larger office to accommodate our growing team.